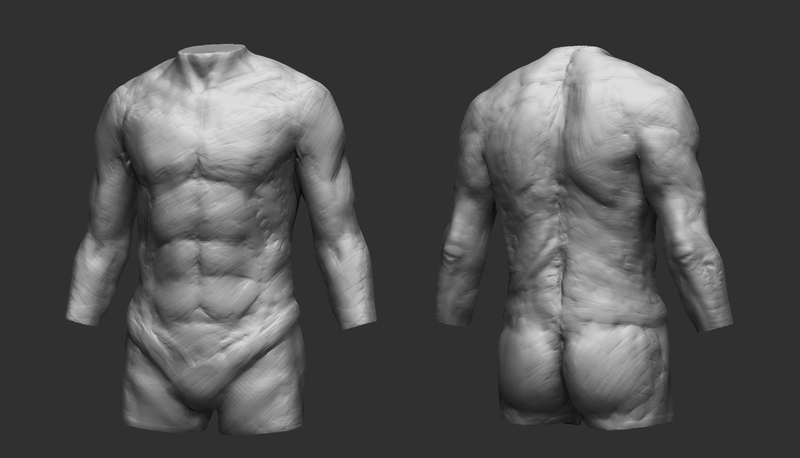 "Polyprogress" Blog: Anatomy - Part 2! So, here's my second blog-post on anatomy. I'm brushing up on it as I await work! This sculpt took about three hours, but I hope to narrow that time span down to about an hour if possible. Really psyched to be learning this stuff finally. The anterior/superior iliac crest requires a lot of work (hip area), as do the glutes! Everything else can colour me pleased. 12-04-14: Sup guys? It's been a while. I've been hard at work on a game, as the character artist. Unfortunately, I can't post anything until the lead guys say I can, but rest assured I'll post some stuff when I can! Until then, here are some fun little 1-2hr sculpts I created.